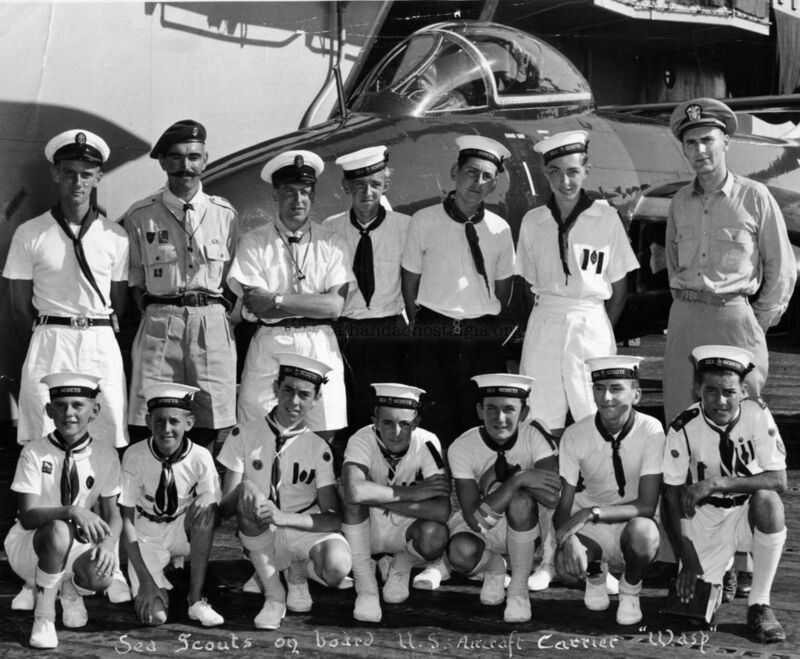 A mixture of RN School and Dockyard Sea Scouts. John Knight crouching front left, Trevor Bailey (?) crouching front right.